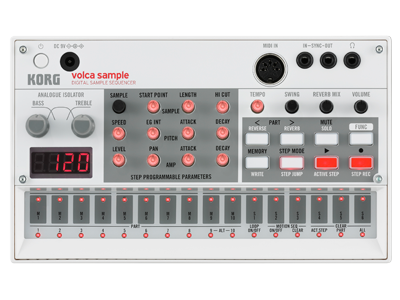 *To use AudioPocket with the volca sample, the operating system for the volca sample must be "System Version 1.20 or later. *You will need a stereo mini jack cable to connect your iPhone to your volca sample. Available AudioPocket on iApp store. - Auto-slice a song to generate a sample set? - Turn photos of patterns into sequences? - Generate random sequence from quantum effects? The choice is yours. Your creativity and coding skills are the limit. What is the KORG SYRO library? By using this library, developers can build their own tools on a platform of their choice - be it Mac, Windows, Linux or Android. In fact our iOS app “AudioPocket for volca sample” was built using this library. GitHub is a web based software collaboration platform with a community of 7.4 million users. The community can manage software projects by sharing and collaborating with developers from all over the world. KORG has been using GitHub for some years now, but this is the first time that a project is going public. In doing so, we encourage developers around the world to collaborate and share their best ideas on how the KORG SYRO library can be used. We look forward to the ideas that you will develop! Click here for more information about GitHub. Click here for information about third party software created using the SDK.